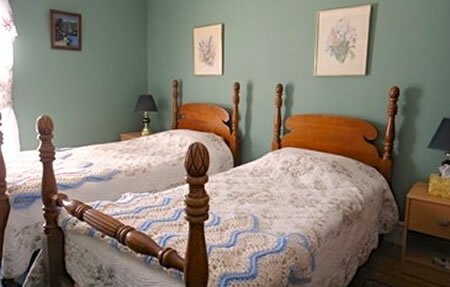 We have three large, attractive bedrooms to welcome our guests. All have a view of our beautiful lawns, flower gardens, and look out across the Shepody Marshes to Grindstone Island in Fundy Bay. We have lovingly refurbished the pine floors in our rooms to enhance the tasteful decor of antique furniture and hand hooked rugs. 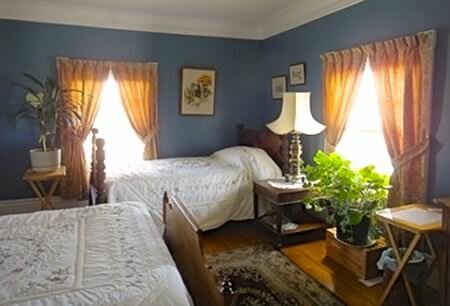 In each room, and throughout our home, you will find fresh cut flowers from our gardens. 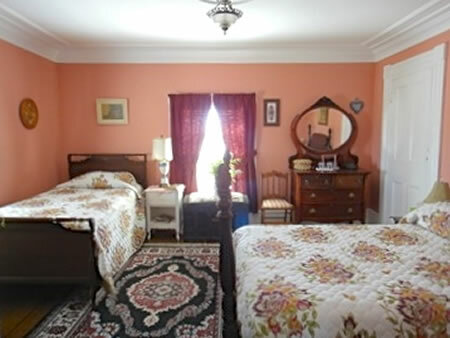 We have two bathrooms for our three rooms, and all our rooms are smoke free.